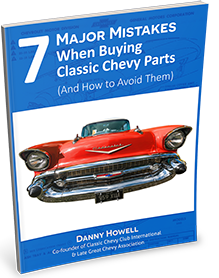 This 1955-1956 Chevrolet original jack has been completely restored to original specifications. The set includes the jack, base, and lug wrench. The final touch for any serious restoration. The hook is less than 2 1/2"
"Jack Set was well restored, clean and painted. Packaging was good, and was quickly shipped. Thanks!"